Using her knowledge and expertise of crystals, meditation and energy systems, Tracy is able to intuitively read your energy fields with the assistance and direction from her and your spiritual guides, to perform a completely unique and bespoke healing treatment this may also include psychic surgery where needed. Tracy works to clear on a very deep molecular healing level, using her expertise and knowledge she is guided always by you the client to gain access to the very root cause of a problem by directly interacting with your true inner self. when this happens it enables profound healing of past negative experiences or thought forms to be released, allowing you to clear, accept and find a deep sense of peace within yourself. This list is only a small example of the conditions that Crystal Therapy can help with, for a specific enquiry please don't hesitate to contact Tracy, where she will be happy to advise. Conscious recognition of the energy exchange is not always apparent as it can be quite subtle. some my feel Sensations such as tingling, temperature changes can sometimes be felt as the body gently realigns itself. Each crystal has its own unique signature of energy, for example Tigers Eye will promote feelings of confidence, courage, pride, success and combat any negative sensations regarding these strengths which may be causing imbalance or restriction within the mental or emotional well being of the individual. Correct placement of crystals on the body will promote emotional and mental harmony. During this state of equilibrium, inner harmony, the body has the perfect conditions to naturally heal itself, producing healthy re- growth of tissue and cells. 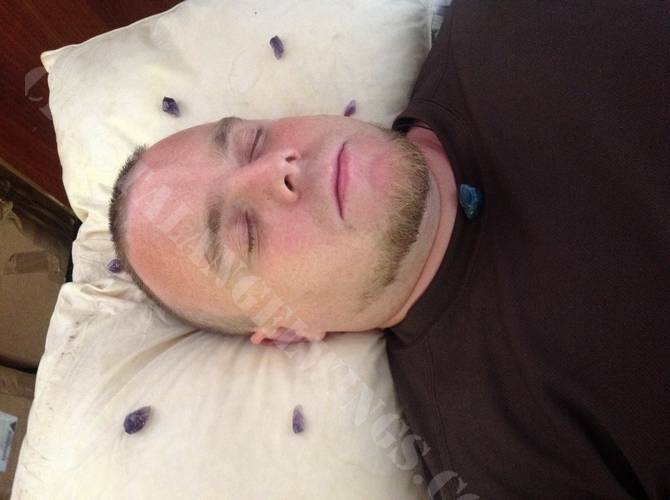 Crystal Therapy is non invasive and extremely relaxing. You will be fully clothed for the session, you will only be asked to remove your coat and shoes. Crystals are placed on the body and surrounding area to create a wonderful sense of calm, stillness and well being in a relaxed and caring environment for healing to take place. 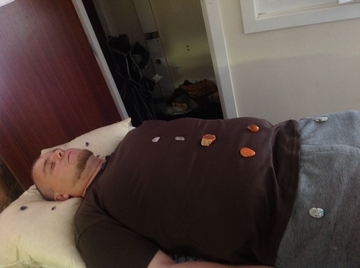 This is the most popular treatment as the treatment allows time for a chance to voice how you really feel and be heard, then the laying on of crystals for the truly deep and clearing energy therapy, and again allowing time at the end to discuss the treatment in depth, what was seen and how this can be released to allow true healing. This is a lovely introduction to crystal healing; the treatment includes a chakra diagnosis and a chakra balance and clearance. When we started I went into a meditation to relax myself, I could feel your energy coming from your hands as you was going over me, when you put the crystal on my head I could see a triangle in my minds eye that had a prism like colour spectrum from top to bottom, I could feel you putting more crystals on me and after this seemed to relax me a lot sending me deeper into meditation, I could feel my shoulder blades start to ache, I asked that the healing be for my back like you explained to me before we started so it sort of made sense I was feeling things in my back, I was also experiencing a bit of upset stomach nothing bad but just the feeling off it, the energy in my hands was flowing and I could feel it was to do with what you was doing. I feel the crystal healing effected me spiritually more than physically although it has seemed to have a knock on effect on body as well, I feel more energised and motivated to do things and my mind feels clearer to think on things and not get stressed.